Nero Claudius Drusus Germanicus was a Roman politician and military commander. He was a patrician Claudian on his legal father's side but his maternal grandmother was from a plebeian family. He was the son of Livia Drusilla and the legal stepson of her second husband, the Emperor Augustus. 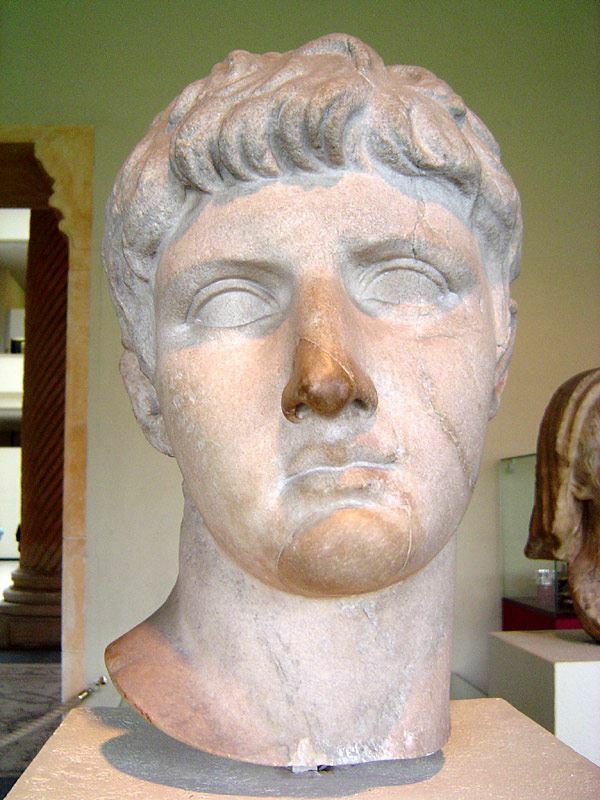 He was also brother of the Emperor Tiberius, father to both the Emperor Claudius and general Germanicus, paternal grandfather of the Emperor Caligula, and maternal great-grandfather of the Emperor Nero. He was one of Rome's finest generals, and the favoured heir of emperor Augustus - but died in 9 BC, leaving his brother Tiberius as the most likely successor to Augustus. All coins of Nero Claudius Drusus Germanicus were struck under his son, the emperor Claudius.